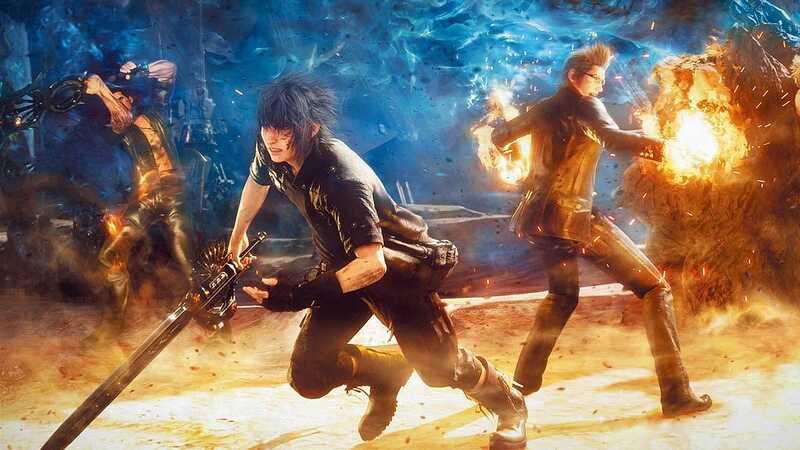 As Prince Noctis and his gang don their royal vestments and head into the fray one last time, you may find yourself wishing you had explored more of the vast lands that make up Final Fantasy XV. Luckily for you, Square was prepared. After you deal your final blow, you have the ability to travel back to explore the world of Eos with your rewards, gear, and companions. When the final cutscenes are played through, you will be able to load your completed game, placing you at the last place you rested prior to the final battle. 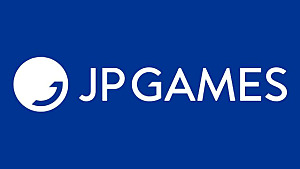 All gear and experience you gained from that point to the finish of the game will still be intact, though it'll be as if the story never progressed. From here, summoning your faithful companion Umbra is all you need in order to travel back in time to past Altissia and Lucis. Since your level, gear, and skills are maintained, you may find yourself a bit overpowered for some of the previous sidequests, but there is still much to do in the open world of the past. Let's talk about what that is. If you've hopped into the Regalia and found yourself not able to fast travel, you know how long some trips may take. Luckily, there are a few upgrades to ease your travel woes. Early in the game, Cindy will present you with an evolving questline, formulaically titled, "The Ever (insert keyword) Regalia." Not only are they all titled similarly, but they are also all the same run-of-the-mill fetch quests, having the player find and item and bring it back to her at Hammerhead. The first two parts of this chain of quests, "The Ever Regal Regalia" and, "The Ever Elegant Regalia," offer little in terms of travel upgrades. The "Regal" quest has the player fetch a can of wax, offering better fuel efficiency for the Regalia when installed. The "Elegant" quest offers additional colors and decals for the car; a pleasing addition, but not necessarily practical. Both of these quests have relatively low recommended levels and should offer little challenge to the leather clad bros. Unfortunately enough, these are prerequisite steps for the latter sections of the questline, so they'll have to be completed before capitalizing on the better Regalia upgrades. Next up is "The Ever Gleaming Regalia." Again, this is a retrieval quest, and unfortunately only rewards you with a fiberglass coating for the car. While this upgrade keeps the old girl looking fit for a prince, it offers little in terms of practicality. The next two quests are quite useful to have when it comes to cruising around Eos. 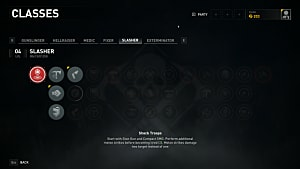 "The Ever Valorous Regalia" has the player retrieving a Supercharger, but due to an imperial blockade, isn't able to be completed until Chapter 7. The wait is worth it though, for bringing this piece to Cindy upgrades the max speed of the Regalia, and who doesn't want a bit more Chocobo power under the hood? "The Ever Illustrious Regalia" is the last part of this quest series, and is by far the most challenging. This time around you'll be retrieving headlights from Crestholm Channels, a maze-like side dungeon that hosts groups of difficult monsters with levels in the 40's range, as well as a mini-boss (level 49) that sits in ambush. 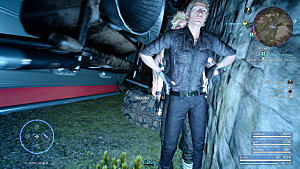 After retrieving the headlights and giving them to Cindy, the Regalia can be outfitted to drive at night without interruption from daemons. Last, but most certainly not least, is the F-Type Regalia. To obtain this upgrade, one must destroy three imperial bases and collect an item from each. The first two bases are completed as you progress through the main story, rewarding you with Warped Wings and the Unstable Stabiliser. The third item, the Strange Engine, is rewarded after destroying Formouth Garrison. 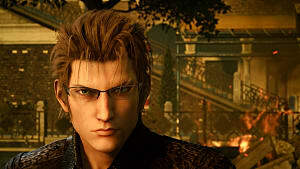 When all three are collected, talking them to Cindy will reward you with the F-Type Regalia, which has the ability to fly. Yes, fly. Time to soar across Eos! While the roads and skies belong to the Regalia, there's still remains much off-road exploration to be done. This is where your trusty Chocobo comes into play. The party can unlock Chocobos after completing the "Friends of a Feather" sidequest given by Prompto. 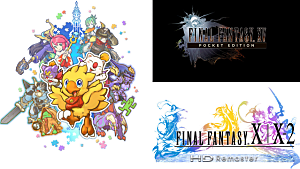 Chocobos can then be rented for a specified number of days at kiosks, and whistled for while out in the wild. Leveling your Chocobo is rather easy, as simply riding it will build experience. The more time spent on the big beautiful birds, the faster they'll level. One rather unique aspect of this installment's protagonist is the diversity of weapons for the player to choose from. Whether you favor guns, swords, or spears, there is something for everyone. 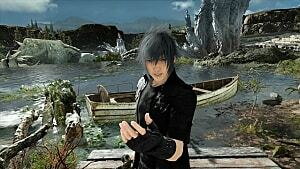 To add to the flavor, since Noctis is of the royal family, he can claim the power of the thirteen Royal Arms. These powerful weapons deal impressive amounts of damage and are unique in their skillsets, but can only be wielded by slowly draining the life away from Noct. There exists a total of five "legendary" weapons in the game: Iron Duke, Dragoon Lance, Ziedrich, Soul Saber, and the Zwill Crossblades. The Iron Duke is a greatsword outputting a whopping 581 attack, and can be obtained via the quest "A Legend is Born." The Dragoon Lance is, as you can guess, a polearm. 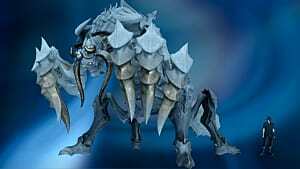 It is tagged with 246 attack and can be obtained through "The Dreadful Legend" questline. Ziedrich, a shield, can be obtained by completing the "Legend Wrapped in an Enigma" quest, and outputs 327 attack. The Soul Saber is a sword (naturally) with 343 attack, and is rewarded from the "Cursed Legend" quest. Lastly, the Zwill Crossblades, a nifty set of daggers with 345 attack power, can be gained from completing the "Wondrous Weapon" quest. A brief breakdown of the quests mentioned above can be found on the FF wiki. While these five weapons are tagged as legendary, there still exists many more unique weapons in the game. The Cerberus, for example, is a sniper rifle that can be found at Fort Vaullerey, and is only usable by Prince Noctis. While the damage is nothing special at 156, its ability to engage enemies from a distance and break appendages can be quite useful. What's more, it gives the player the ability to actually look through the mounted scope, giving you a nice first-person shooter feel in a third-person world. Another unique weapon is the Drillbreaker, a machinery weapon with a special attack that drills into a target for repeated damage. 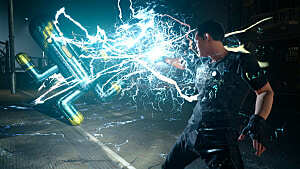 The Drillbreaker can be used by Noctis or Prompto, and when upgraded, deals a massive amount of damage at 432. While these are just some examples of the uniqueness of weaponry found around Eos, it is important to mention that these most of these are not even the strongest weapons in their respective categories. If you're willing to venture into some of the more difficult dungeons and face the fiercer enemies, your armada has the opportunity to be greatly bolstered. A comprehensive list of the weapons available for Noctis and the gang can be found at the Final Fantasy wikia. Sword of the Wise - Chapter 2 Storyline: "Legacy"
Axe of the Conqueror - Chapter 2 Storyline: "The Power of Kings"
Swords of the Wanderer - Chapter 3 Storyline: "The Sword in the Waterfall"
Blade of the Mystic - Chapter 4 Storyline: "The Archaean"
Katana of the Warrior - Chapter 10 Storyline: "The Hand of the King"
Trident of the Oracle - Chapter 12 Storyline: "Breath of the Glacian"
Sword of the Father - Chapter 13 Storyline: "Zegnautus Keep"
In Final Fantasy XV, the term "dungeon" doesn't necessarily refer to a dark maze of cells under some castle. Some may require you to scale a volcano or explore a forested thicket, while others may require a deep-dive into an underground system of sewer channels. Whatever the environment, these dungeons are each unique in their own right. The last on the list, Pitioss Ruins, is a unique dungeon in that it is completely void of monsters. Instead, players are faced with a series of intricate puzzles and platforming required to obtain the Black Hood, an accessory that allows Noctis to automatically evade attacks. While the above are great challenges in themselves, discussing dungeons would be incomplete without mentioning the Sealbreaker's Key. This item allows the player to access eight hidden doors, one located in eight different dungeons. It can be acquired after completing the main story and clearing Costlemark Tower, Balouve Mines, Crestholm Channels, and the Daurell Caverns. After completing these, Ezma at Meldacio Hunter HQ will give you the key, initiating the "Menace Beneath Lucis" questline. Last, but most certainly not least, is the hunting of the Adamantoise. Here, the term "hunting" is used lightly, as it doesn't take much to hunt down a tortoise-like creature the size of a mountain. While discovering it may be of little issue, killing it is an entirely different matter. The Adamantoise can be discovered via "Let Sleeping Mountains Lie," a quest provided by Cindy after the party travels back in time through Umbra (Noct's canine companion). 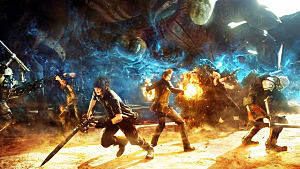 Upon pursuing the quest, Noctis and friends discover that the mountain they approach is alive and angry. After fleeing from the beast, the hunt "Lonely Rumblings in Longwythe" can be accepted from Takka in the restaurant at Hammerhead. Regardless of your level, the Adamantoise is not easy to take down quickly, boasting a 5,260,000 HP with damage reduction in all areas except for its neck. The key here is to Armiger often, boost Noct's attack power, and strike the side spot of the beast's neck when vulnerable. Upon felling the mountainous beast for nothing other than vain glory, players will be rewarded with the "Tortoise Toppler" achievement. 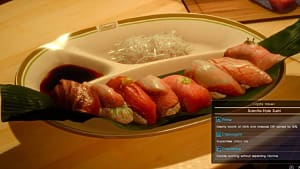 The world of Final Fantasy XV's offers a variety of things to experience, and Square Enix has already informed the masses that there's more to come. Six DLC's have already been leaked and Square has voiced its goal to include multiplayer capabilities sooner rather than later. Those keeping up with Noct. have also had the opportunity to experience the Moogle Chocobo Carnival at Altissia, an in-game event that was a promising introduction to the possibility of future events. In any case, Final Fantasy XV has much more to experience beyond its main storyline. And even though Prompto is busy snapping sloppy pictures mid-battle, Noctis and his crew are equipped to face it all.